A woman has exposed her husband for, as she claims, having over 60 mistresses and embezzling money from a major assets management company in China. 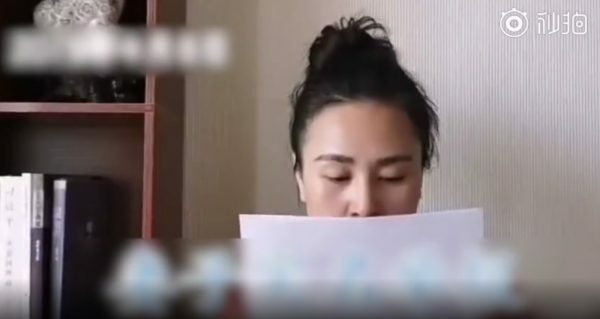 She made her accusations public on Chinese social media on April 8 after her husband continued with his wanton lifestyle, breaking promises to change. The woman, named Wan Lili, posted a video to Weibo—China’s version of Twitter. Her husband, named Huang Xin, works at China Huarong, which is owned by the Chinese Communist Party’s Ministry of Finance. “Huang Xin has threatened me multiple times to not talk about these things,” Wan Lili said in the video posted on Weibo. Wan also accused Huang of illegally obtaining real estate and putting it under his older sisters’ names, as well as abusing his position of power in the company for personal profit. Wan said that during one of her arguments with Huang in 2016, she learned that he stole an official seal from his company to embezzle $150,000 from foreign business partners. In her video, Wan cited specific details of the women she claims that Huang was involved with, including their names and areas of residence. The youngest woman, according to a document printed out by Wan and posted to Weibo, was born in 1997 and received 9,000 Yuan ($1,300) every month from her husband. Wan also showed copies of government-issued identification belonging to one of the women, as well as photographs of text conversations taken from her husband’s phone. In the video, Wan also accuses Huang of having a son with one of his mistresses. The woman allegedly harassed Wan multiple times, demanding that she divorce her husband. 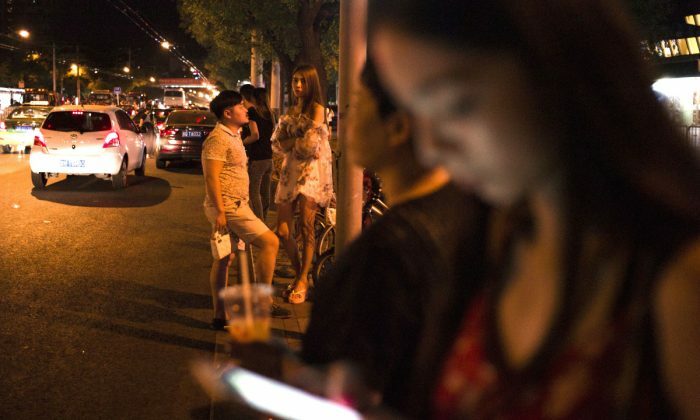 “He has had over 60 mistresses and spends huge amounts of money on prostitutes, paying 3,000 yuan ($445) [each time],” Wan says in the video. She said that her husband often finds young and attractive girls online during business trips. If Wan’s claims are true, Huang would have spent at least the equivalent of $26,700 on prostitutes. According to a comprehensive report by Apollo Network, a Chinese news aggregator, Wan and Huang married at the end of 2016. She had discovered that, after marrying him, he had numerous affairs. However, due to his lofty work position, she quietly endured his infidelity. Apollo Network reported that Wan made Huang give her a written promise to change his behavior on Aug. 12, 2018. Several of the points made in the written promise were, “I’ll follow through with what I say to my wife,” “Our days will be spent together, our family is just between us,” and “I won’t misbehave outside,” implying that he would no longer have any affairs. On March 13, Huang made a public comment on WeChat’s Friend Circle, a popular Chinese chat app which functions similar to Facebook Messenger. In the Friend Circle, he said that his wife was lying about his behavior. “Please help me maintain justice!” he pleaded. In the same message, Huang also said that he had obtained the services of a former college friend who had become a lawyer to defend against Wan’s libel. On April 2, Huang posted on his Friend Circle two letters that he claimed were written apologies between Wan and himself. In the letter allegedly signed by Wan, she apologizes for all negative comments that she had made about Huang online. It was also written that she would remove them if they resolve their issues. In Huang’s letter, he said that he doesn’t forgive her, and that she must delete her libellous statements. Wan said in her recent video that her signature on the letters was a forgery.